Mississauga, ON (September 26, 2017) – On average, more than 110 kids under 15 end up in the emergency department each year in Ontario1 because of an electrical injury. More than half of those hurt are under age five. 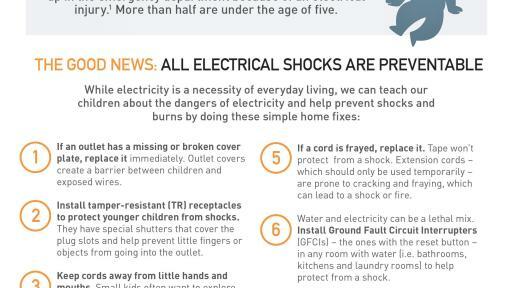 Research has shown that even mild shocks can have long-term after effects.2 Today, the Electrical Safety Authority (ESA) launched a new initiative to help Ontario parents prevent shocks at home. 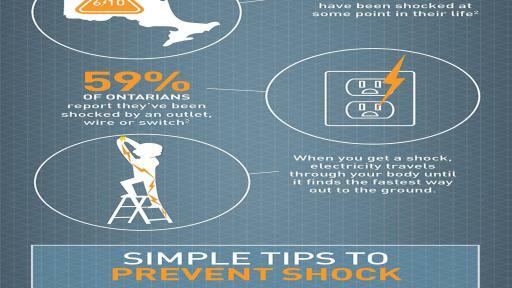 A survey conducted on behalf of ESA found that nearly 60 per cent of Ontarians have received a shock. But research shows that even low-voltage shocks like a zap from a toaster or buzz from an outlet can have serious long-term after effects like memory loss, anxiety or the feeling of pins and needles. A new video created by ESA shows how electricity flows through the body and the effect it can have. Install tamper-resistant (TR) receptacles. They have shutters that cover the plug slots and help prevent little fingers or objects from going into the outlet. Replace missing or broken cover plates. Protecting outlets with covers creates a barrier between people and exposed wires. Check your electrical cords for damage or fraying. If a cord is frayed, replace it. Tape doesn’t protect from shock. 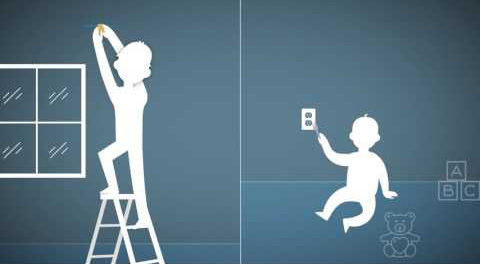 To reach even more families, ESA has partnered with Parachute, a leading child safety organization, to educate parents on electrical safety in the home. 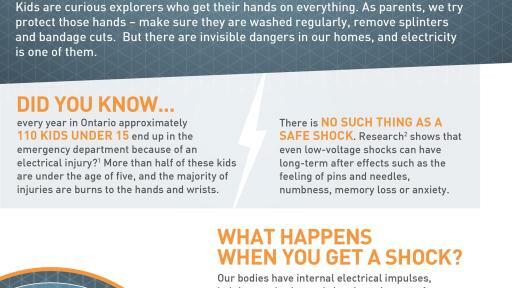 Learn more about how ESA is working to protect Ontarians from electric shock at www.esasafe.com/nosafeshock. The Electrical Safety Authority’s (ESA’s) role is to enhance public electrical safety in Ontario. As an administrative authority acting on behalf of the Government of Ontario, ESA is responsible for administering specific regulations related to the Ontario Electrical Safety Code, the licensing of Electrical Contractors and Master Electricians, electricity distribution system safety, and electrical product safety. ESA works extensively with stakeholders throughout the province on education, training and promotion to foster electrical safety across the province. 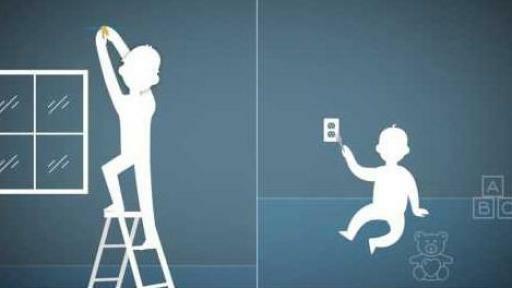 More information on the Electrical Safety Authority can be found at esasafe.com, through https://twitter.com/homeandsafety and on Facebook at www.facebook.com/ElectricalSafetyAuthority. Leger conducted a quantitative online survey of 1,001 Canadians. The fieldwork was completed between March 13 and 16, 2017. A probability sample of the same size would yield a margin of error of +/-2.6%, 19 times out of 20.